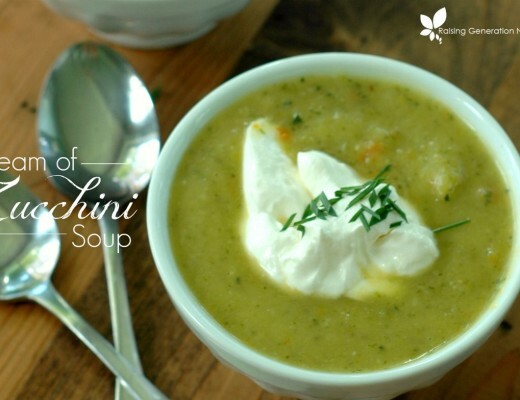 Friendly fat and protein packed without refined sugar! 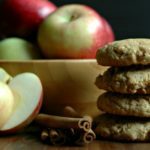 Soft and sweet healthy apple cinnamon breakfast cookies are the perfect on the go breakfast or snack! We are sending off summer with a bang this year! The baby of the house just turned 3 (and, well, everything that goes along with being *3*! ), my 5 year old ditched the training wheels on her bike like a pro, and my 7 year old is clearing out the garden and helping out a lot with harvest kitchen goals! I absolutely love summer where we live, but if I’m being honest I’m ready for a little fall! We have heard news from local farmers that the apple harvest is very, very abundant this year, and that, dear friends makes us super happy! I am more than thrilled to take my crew to pick from their haul this year. We’ll be making baked applesauce for sure, but I also wanted a healthy breakfast I could add to our busy school mornings using the in season, budget friendly fruit! As my kids are getting bigger, it has become more of a priority in the house to have a breakfast rotation. It helps school mornings run smoother and less rushed, and makes for less thinking that mom has to do so early in the morning. I think everyone agrees by now that a solid, nutrient dense breakfast gives kids the edge they need to stay focused in school – and it really can be done in a kid friendly tasting way! 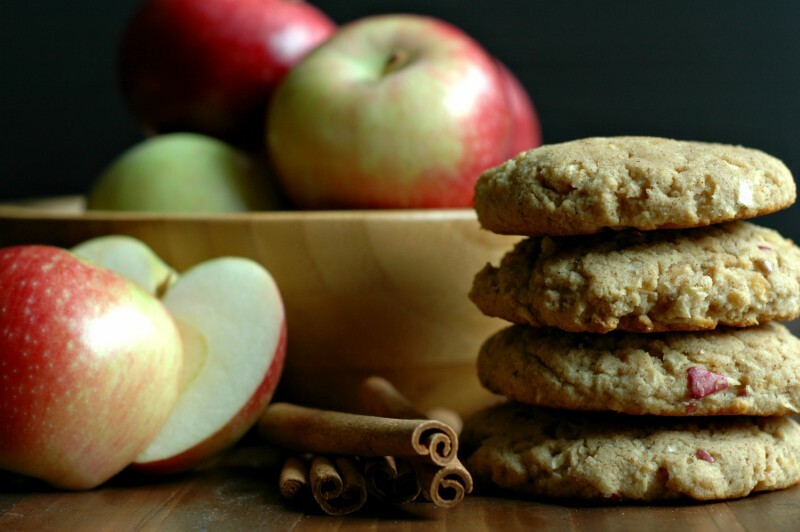 These apple cinnamon breakfast cookies are definitely going to be in the line up for rotating on Fridays – which is breakfast cookie day here! By Friday I don’t usually want to think about anything! I love pulling breakfast cookies from the freezer Thursday night, cooking up some hard boiled eggs, and just setting up a self serve breakfast for Friday morning. 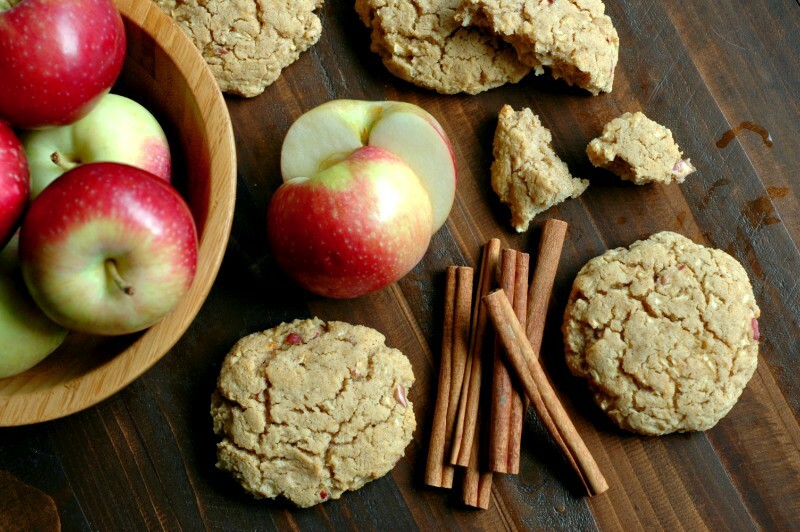 These apple cinnamon breakfast cookies are soft and sweet without using any refined sugar. The warm cinnamon and sweet apples make the perfect breakfast, and the protein and fat will keep blood sugars stable until snack or lunchtime. Happy start to the school year to you my friends! Put the softened coconut oil and raw honey in a small mixing bowl and blend to combine until smooth. Add the eggs and blend for a minute. Add the rest of the ingredients except the apples and blend to combine, and then stir the chopped apples in with a wooden spoon. Form the size cookies you want into balls in then flatten onto a Silpat or parchment paper lined baking sheet. Bake at 375 degrees for 13-14 minutes. Let the cookies cool at least 10 minutes before handling. 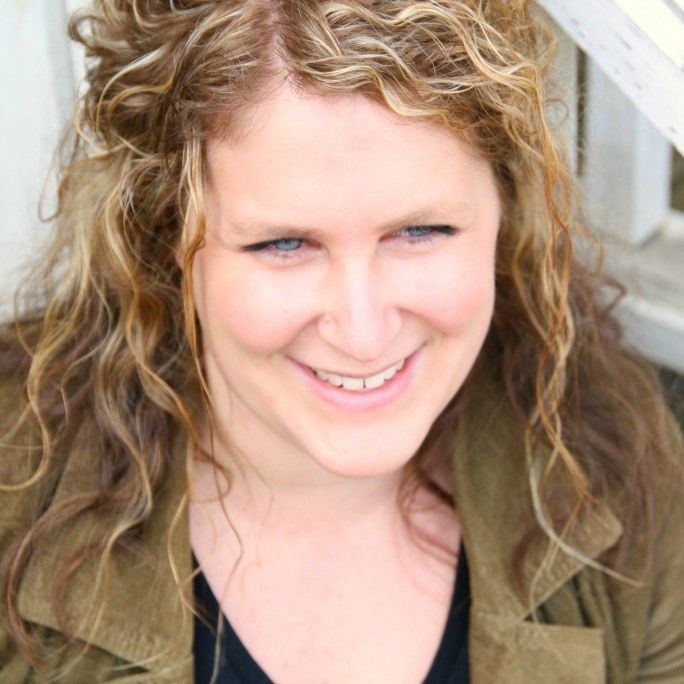 I’ve noticed that you are using collagen more and more in your recipes. Do you notice a difference in how long the kids are staying “full” or satisfied when consuming foods with collagen added? Been excitedly waiting for you to post this recipe-thank you so much!!! My girls are a little funny about chunky apples in things-would applesauce work instead of the chopped apples or would it change the consistency? Thanks!! Hi Carolyn – I wonder if that might make the batter a little to wet, however if the better feels really wet you could just add a little more of one of the flours – I do think it could work 🙂 Otherwise I wonder if they would be fine if you just pureed the apples – I don’t really bite into any apple when eating these because they are chopped so finely in the food processor and then shrink when they cook. I hope that helps – if you try it with the applesauce let us know how they turn out! Thank you so much for you reply! I plan on making them this week and purchasing the collagen you recommended in your gummy recipe! Can’t wait 🙂 Your site is my absolute favorite! These are amazing. I am so happy to see fall recipes I can’t even express! These sound so delicious! 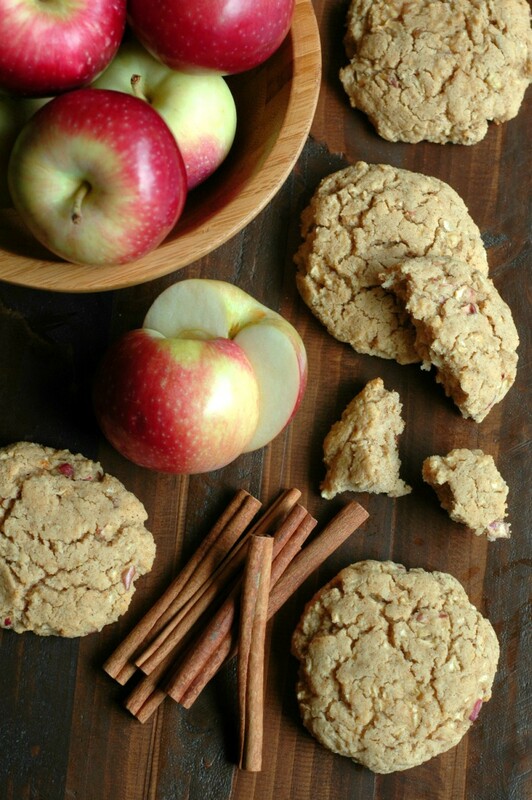 Love apples and cinnamon together, especially when it is a cookie for breakfast! Yum! Love your quick and easy tip for using your food processor to chop the apples too! LOVE these!!! My little one would gobble them up! So nice for school mornings or in lunches too. My son is intolerant to apples as well as wheat. So you think peaches would work, or would they turn out mushy? Hi Kristina! Great question! Apple is a common allergen these days! I’m thinking you are right on the peaches getting mushy but I have made cookies like this before with berries – so maybe do some blueberries or chopped strawberries? (Maybe leave the cinnamon out with those) Another thing that came to mind was using pears – are those in the same family as the apple? I’m not as familiar with that allergen. And then another option would be to use a dried fruit like raisins – you might need to add more moisture such as more oil or a splash of coconut milk or even another egg. I hope that helps! Oh yum! The nearest TJ’s is about an hour away from me so we don’t make it very often! Ahhh! 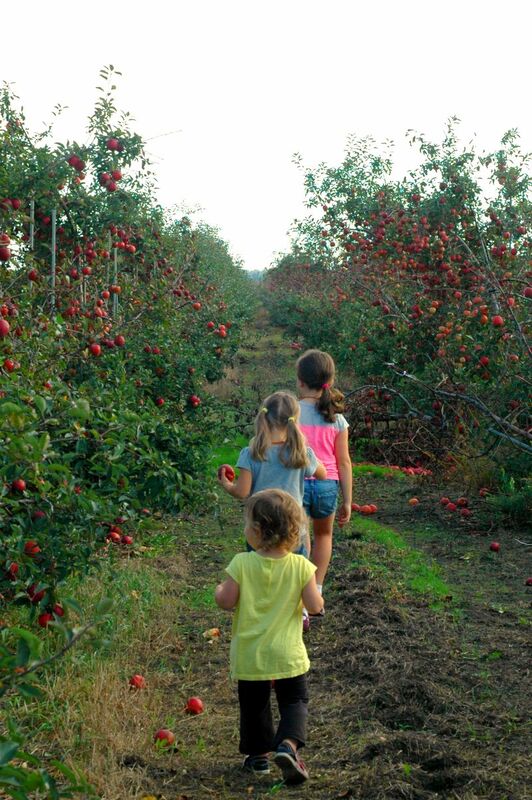 You have me SO excited to pick fresh apples this fall. Oh, and eat cookies for breakfast… any excuse to do so is a good one. Yum! 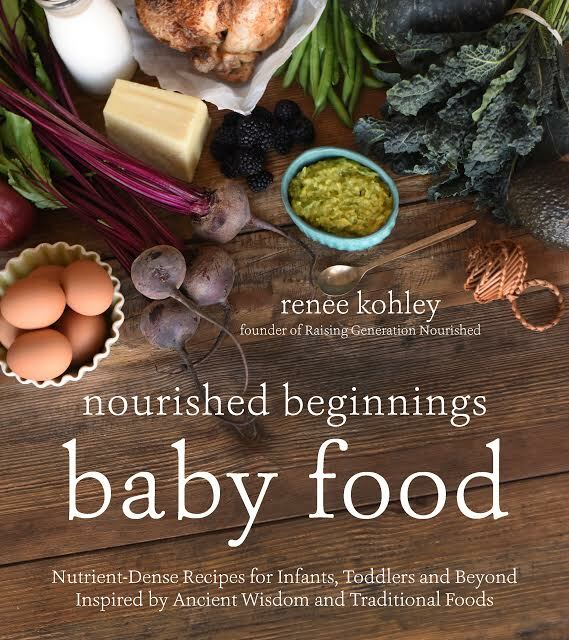 Hi Renee, just want to say I love your recipes and I’m so excited to try this one! My girls have a coconut and a nut allergy. Do you think adding more of the other flours would work? Hi Julie! Yes that should work – keep in mind that the coconut flour is really really absorbent so you might have to use a little bit more of whatever flour you sub there! I think any of the rice flours or even oat flour should sub in too if you want something different or have that on hand. Would you happen to know the carb count? Needed for a type 1 diabetic child. Thanks ! Hi Helena! I don’t but there are a lot of dietary counters right online that you can pop the ingredients into and it should give you the carbs – I usually just Google it if I need to know, and those counters pop right up! Hi Renee! 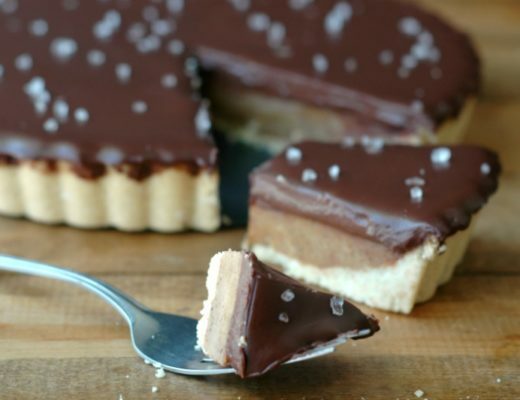 Lovely recipe – just wondering if you could possible replace the collagen for gelatine powder? Cheers! Hi Tania! Gelatin will make the cookies too gummy in texture – the collagen makes them soft but not gelled. would tigernut flour work in place of all other flours? We have a tree nut allergy in our house, including coconut. Hi Rachel! I haven’t worked with tigernut flour before so I’m not sure! You could certainly play around with some for one or 2 of the swaps but then maybe still use some tapioca or potato starch to keep things soft. I love all your baked goods recipes! I want to try them but we’re not a gluten free family and it’s not really feasible for me to get all the different flours. That being said I don’t want to just sub plain white flour. Would oat flour work here? I make my own in my blender. I was thinking whole wheat flour would probably be too overpowering. Hi Amanda! I think oat flour would be fine. I like to soak oats/oat flour to lower the phytic acid for digestibility so you could do that if you want. One thing I do want to mention is one of the biggest reasons for the variety of differently flours is nutrition content. When I am looking at a baked good solely for the purpose of a treat, then using one flour – even an all purpose gluten free flour blend – is fine with me. When I’m creating something that is going to be for the purpose of breakfast, I want protein and fat packed and nourishing so they don’t have a blood sugar crash from an all grain breakfast – does that make sense? 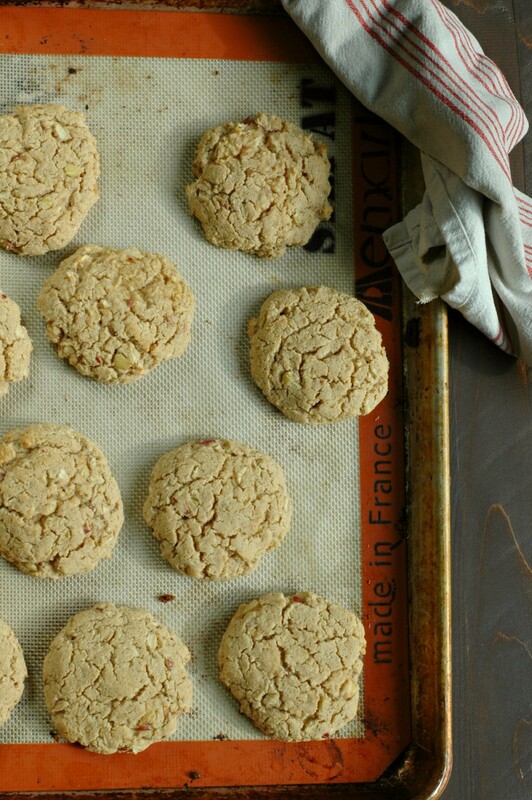 So the purpose for the almond flour and coconut flour and even the sorghum flour is to fill them up and make the cookie more protein packed and satiating. Does that help some to understand the purpose behind the variety of flour? Hi Savanna! The collagen helps a little with bind but actually they make them so soft! You will really enjoy this texture! Hi, these look great and I’m so excited to try them! I have an almond allergy and was wondering if I could substitute the almond flour for oat flour perhaps? Hi Loukia! That should work fine! Hi there!! Found this recipe, but unfortunately I dont have any grass fed collagen. Is there any way that I can just eliminate it all together or do I have to use it for the recipe to work? Hi Arianna! The collagen adds softness to the cookie but I do think they would work without it! As usual, your breakfast cookies never disappoint! Made these this morning and served with eggs – everyone came back for seconds :). Yumm! Hi Dawn! Correct! Heating raw honey does destroy some of the nutrients, however it is still a great sweetener choice over plain sugar as it doesn’t affect blood sugar the same. Does that make sense? Only had 1 apple so I did the 1 apple plus 3 oz of homemade applesauce. The batter was a little sticky, but not overly wet, so I just dropped the batter by spoonfuls onto the tray instead of rolling into balls. They baked up great! I also had run out of tapioca flour so I used potato starch instead. Again, they were just as good as any other time that I’ve made them before. Just thought I’d share! Thanks for the swap ideas Sara! That’s awesome! Do you have a recommendation for a brand or type of collagen? I have n ever used it before and was just looking online but there seem to be so many options. What should I look for? There also seem to be different types, what is the kind I should get for this recipe? Thanks! These were delicious, but fell apart on me. I diced the apples, which were fairly larger than your food processed ones. Just a heads up for anyone else just manually chopping – need to make them really small! My toddler loves these, thank you!